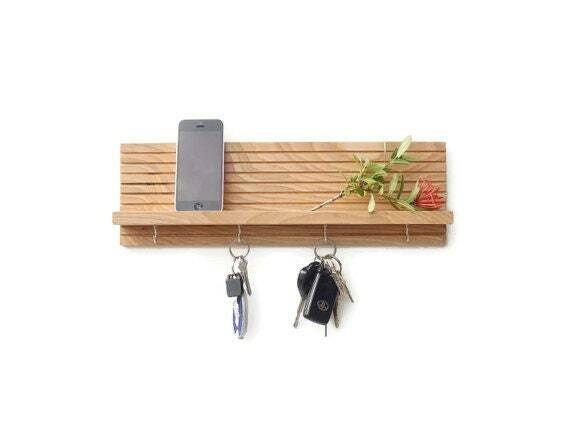 Along with sturdy, convenient key hooks, this hand tooled product features a 2-inch deep shelf for storing phones, outgoing mail, garage remotes or other particulars necessary to your daily life. 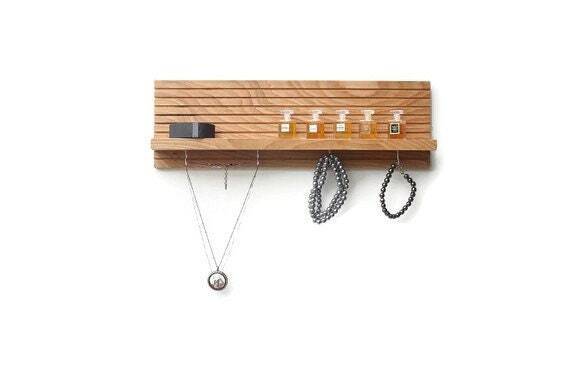 Our modern shelf with hooks also works great as a jewelry rack for hanging necklaces and storing/displaying perfumes, watches, or other small objects. It also makes a great housewarming gift! 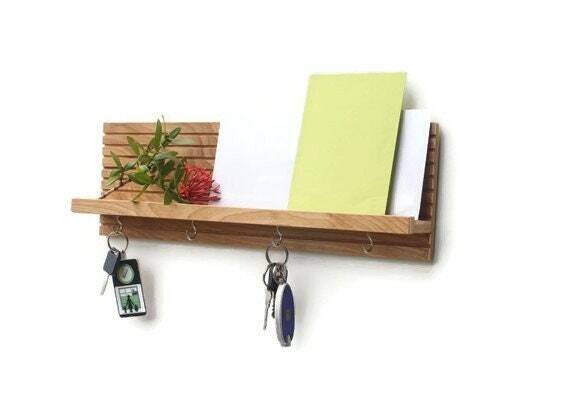 Made of wood artfully hand tooled in a pattern of inset horizontal lines, our modern key organizer features four metal key hooks and a sturdy shelf for added functionality. 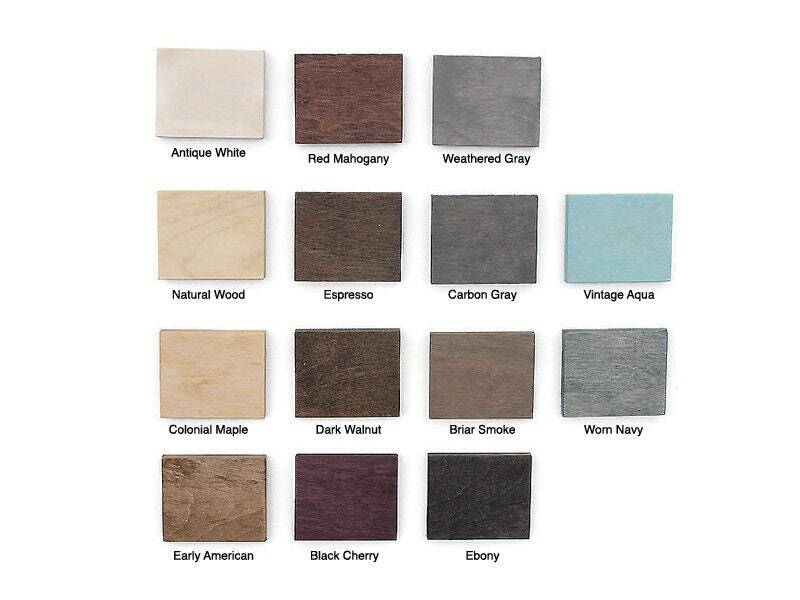 • Color: Please choose from drop down box (see color swatch picture for stain options). [Natural wood stain pictured in listing.] Item is finished with a modern matte clear coat. • Hooks: Pictured with 4 hooks, with 7 hooks as an additional option. Please see drop down box to make selection. 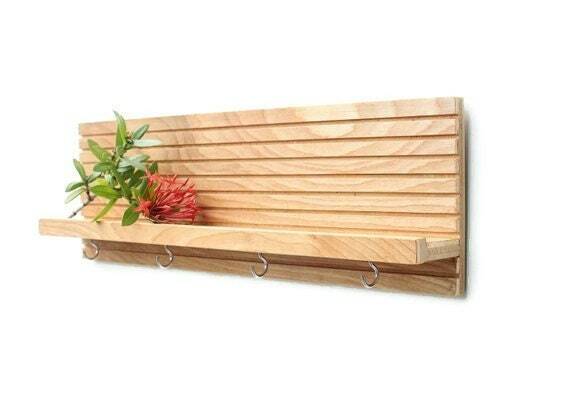 • Easy to install using two keyhole hangers mounted on the back of the item. • Ships via USPS within 5-7 business days following receipt of payment.